When we opened the lid, the savory smell of grilled “unagi(eel)” floated across the salon. 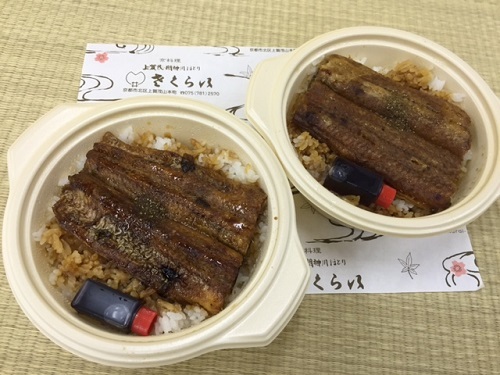 “Sakurai (ryoutei restaurant)” brought us “unagi(eel)” again this year. We have been so grateful to Sakurai for their warm hospitality all the time. It is said that you can avoid getting sick from the summer heat if you eat unagi on the midsummer day of Ox. This nutritious unagi dish surely makes it possible for us to work hard to provide better service to our clients even during the hot summer!